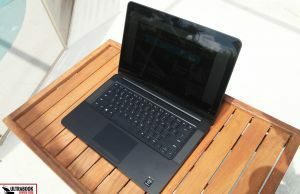 Summary: I’m very impressed with this year’s version of the Razer Blade. It is a very powerful laptop, considering the small size, it gets solid specs, and let’s not forget it still offers decent battery life. On top of that, the 2016 is more affordable than the previous Blades. 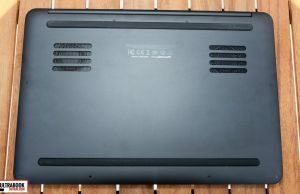 However, you do have to consider the fact that this laptop still only comes with an Nvidia GTX 970M graphics chip, while soon to be released GTX 1070M laptops should offer a significant performance bump. 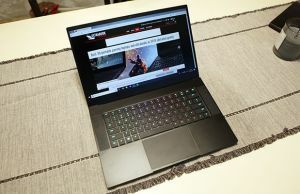 With the recent release of the Razer Blade Stealth (reviewed here) and the Core, some were left wondering if there would be a refresh of the Razer Blade and Razer Blade Pro. Well, we haven’t seen anything with the Pro yet, but after a lengthy delay in the launch, we finally have a new 14-inch Razer Blade. Compared to last year’s model, there’s not a whole lot that has changed actually. The GPU is the same and the CPU, in many ways, isn’t that much of an improvement. The chassis, screen, trackpad, etc are the same. It almost makes you wonder why they released a new version… almost. But there are a couple of new features that Razer is betting people will love, as well as a more competitive price. It was enough for me to take the plunge and try it out, even though I haven’t even considered the Razer Blade since I tried out the 2014 version. After using it for a while, there are some things I would like to improve, but to my surprise, I am really liking this machine. See my findings in the sections below. The Blade’s overall design is pretty incredible. It hasn’t changed much over last year (or the year before for that matter) but it’s still one of the best constructed and best looking laptops in my opinion. Outside the forums, I never wrote a review on either of the previous models, so I’ll be thorough in my description below. The chassis is very well constructed. Razer opted for the same anodized aluminum unibody design, which is a good move in my opinion. 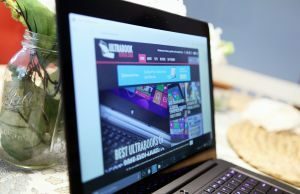 Of all the gaming (and non-gaming) ultraportables I’ve tested, I always find myself comparing to the Razer Blade and Macbook Pro/Air. It’s clear that Razer emulates Apple in their designs and it works, so why change it? 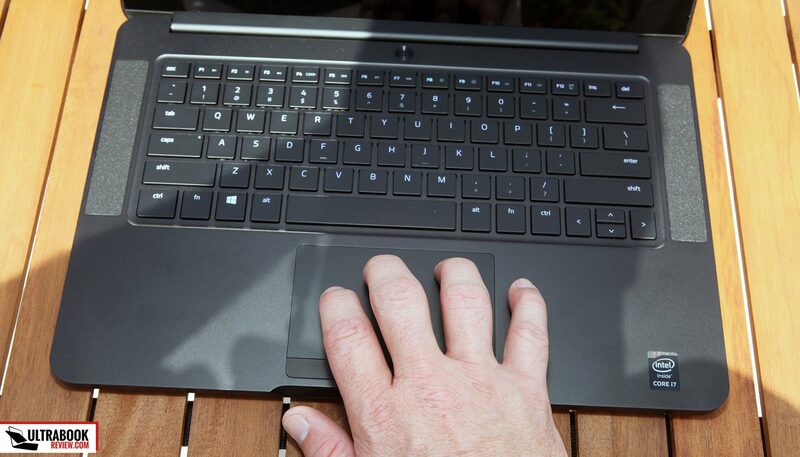 Now, like pretty much all black aluminum laptops, this thing is a fingerprint magnet. After a day of use, I immediately noticed fingerprints on the lid from carrying it around. There were also smudge marks on the palm rest. These are pretty much impossible to avoid unless you use an oil free soap before each use or wear latex gloves. If you’re a clean freak, you’ll find yourself spending a lot of time each day keeping your Razer Blade neat. If not, the buildup will eventually blend in over time. Moving on, carrying this laptop around is pretty much a treat. Razer is true to their word – they managed to shave some weight off to bring it down to a measured 4 lbs and 3 oz (1.93 kg). The footpads provide enough of a gap to where I’m able to pick it up and go from any surface. Between the low weight and the .7” thickness, you’ll never need a second hand to move your Blade from place to place. The lid is adorned with Razer’s tri-snake logo and a couple subtle ridges for added effect. I’ll be the first to admit that I can’t stand goofy glowing logos on laptops. This one is no exception, but I could live with it for a couple reasons. First, Razer gave the ability to turn the logo light off. This is a feature that was missing in the 2014 (and possibly 2015) model. Second, the logo is flush with the aluminum, so covering it with a decal is no problem at all. Lifting the lid is a simple one-finger lift. Underneath, you’ll see the Sharp IGZO touchscreen, with edge to edge glass. I don’t mind the bezels too much, but after seeing my wife’s XPS 15 on a regular basis, I’m a little jealous. Centered at the top is a 2MPx webcam with microphones on each side. Centered underneath the screen is a very subtle BLADE logo. 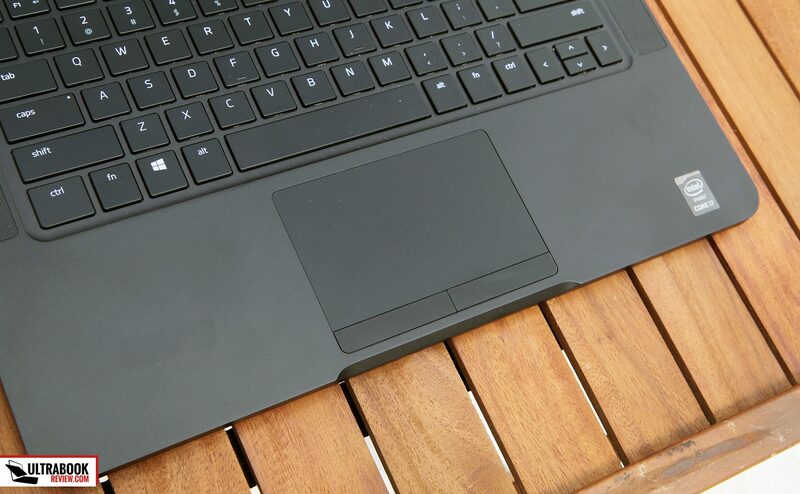 The hinge on the laptop is very sturdy, allowing for touch gestures to be used on the screen with little wobble. The hinge itself is obviously metallic, but its outer shell is pretty much the only portion of the laptop housing that is made of plastic (keyboard keys excluded). The palmrest is pretty much what you would expect. The edges might be a little sharp for some but the laptop is so thin that it shouldn’t matter. I’ll cover the keyboard and trackpad in the next section, but on each side of the keyboard is a top facing speaker. Centered above the keyboard there’s a non-lit power button. The Razer Blade comes with a number of different IO options. Starting on the left side you’ll find a power connector, 2x USB 3.0 ports and a headphone/microphone jack. 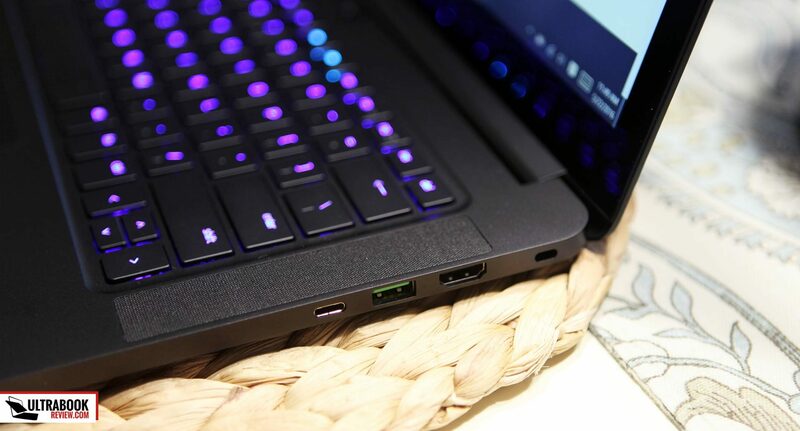 The USB 3.0 ports are green, matching Razer’s color scheme for the Blade line. Not my favorite color on a laptop, but it’s pretty subtle. On the right side, there’s the Kensinton lock, a single HDMI 1.4b port, another USB 3.0 slot and a USB-C Thunderbolt 3 port. 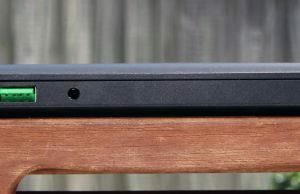 The Thunderbolt 3 port is how you would attach the Razer Core, which is an external graphics card enclosure for the Razer Blade and the Razer Blade Stealth. 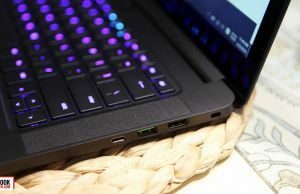 Unfortunately, unlike the Stealth, you cannot charge the laptop through this port, so you’ll also have to connect external power when using the Core. 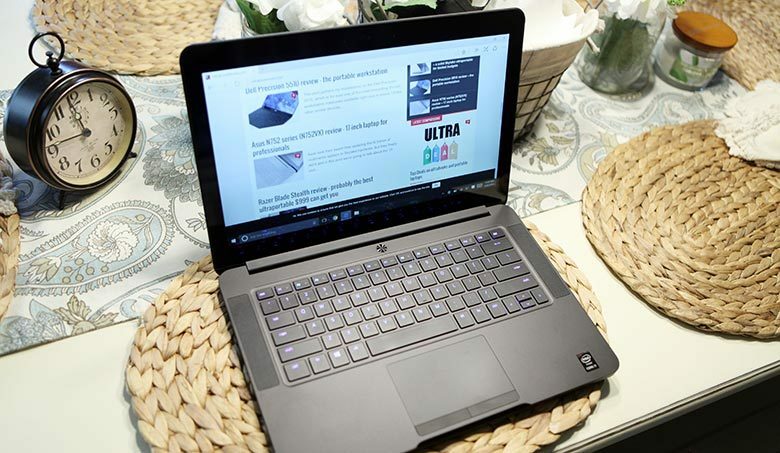 We talk more about the Core in this dedicated article, but in the meantime you can find a list of Thunderbolt 3 compatible laptops over here. One thing this laptop lacks (and all the prior Razer laptops for that matter) is a memory card reader. I understand they are minimalists like Apple, but even Apple includes an SD card slot… There’s really no good excuse and it would be really nice to see this in the future, considering it’s a cheap upgrade and would add so many more options. Even a microSD slot would be better than nothing. On the front edge there’s nothing but a single LED indicator light, which is used to indicate sleep mode (white pulse), low battery (red) and if the laptop is on when the lid is closed (green). Being minimalists, Razer chose not to have any other indicator lights. In the center, there is a chamfer on the unibody to get your finger in to open the lid. No complaints there, as it is well designed. The back edge is pretty much where you would expect to see exhaust vents, but in this case it’s bare. This is because Razer chose to have the exhaust vents come out in the gap between the screen and the keyboard. This is the same as previous designs and it favors looks over function. 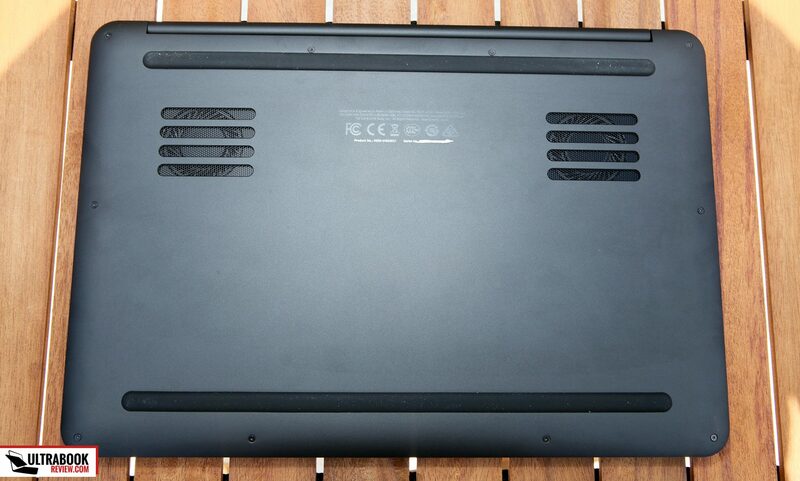 Finally, on the bottom of the laptop, you’ll find two intake vents and two long footpads. 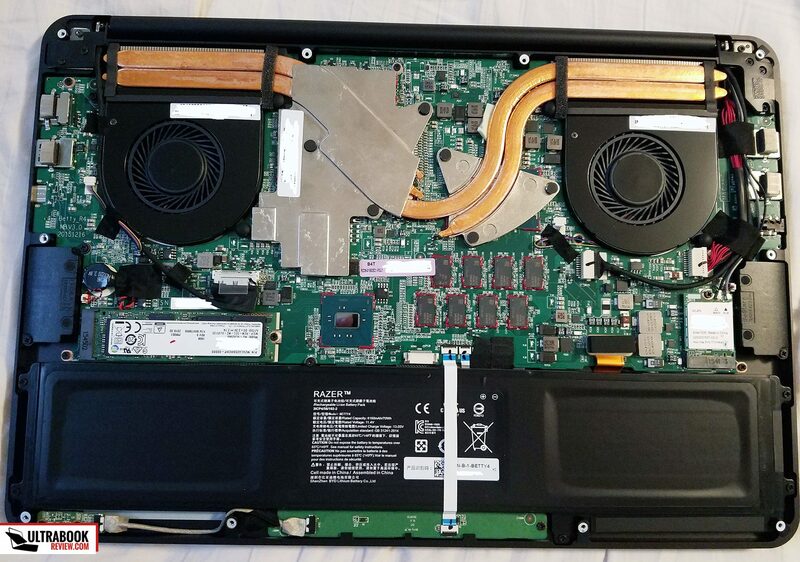 Each intake vent has a corresponding fan inside and they are pretty much always running while the laptop is on. Besides that, the vents are pretty small, so lap users will want to be cautious of accidentally covering them completely. 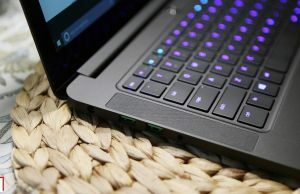 The keyboard on the Razer Blade is something I’ve grown to like, but there are some major concessions that I had to get over. As a keyboard alone, it’s actually pretty decent. The key travel is 1.4mm and the force needed to press a key is 50 grams. Typing on it took a little getting used to, but I eventually got better, especially while typing this review. Right off the bat I got a 46wpm score on the typing test that I can normally score 50wpm on, so not too shabby. 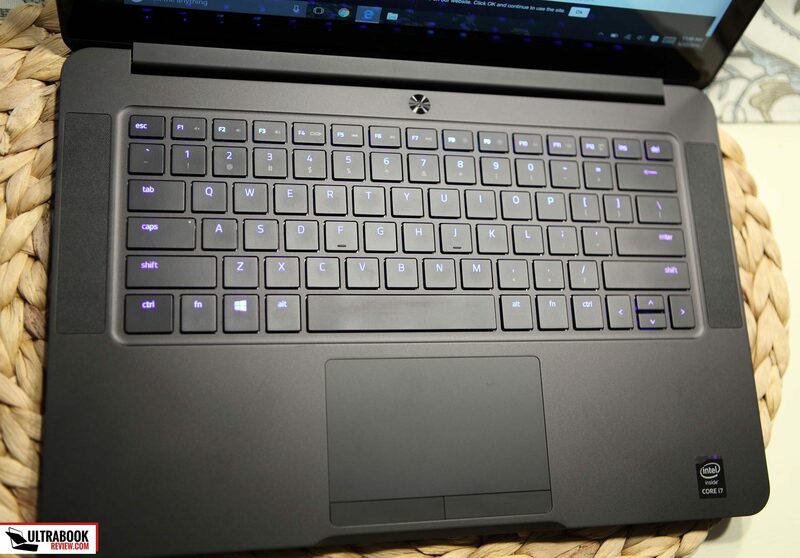 Like the Razer Blade Stealth, the Razer Blade uses a very unique keyboard. It’s Razer’s Chroma variant, so each key is programmable to 16 million color choices. Yes, that’s each key. So if you ever wanted a keyboard with the ability to make each key a different color, this is the one for you. 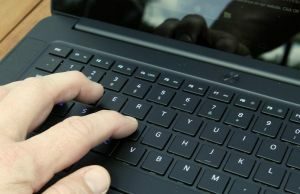 Compared to the previous Razer Blade keyboard, there are a couple advantages to this new one. First is the font being normal for a change. 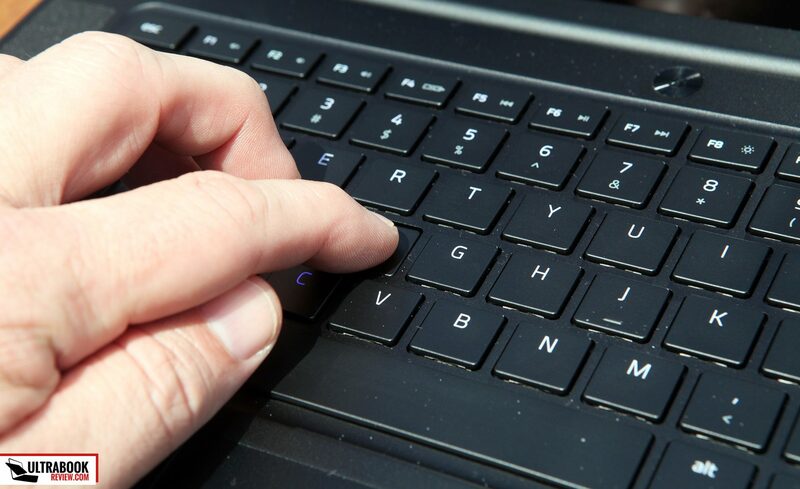 No more box font letters that make your keyboard stand apart from the rest of the world. Also, the backlighting can be changed to something other than Razer green. Believe it or not, that green keyboard was one of the two deciding factors for me not keeping my 2014 model. 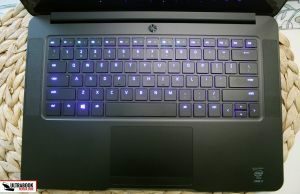 The logo could be covered up on that one, but there is no disguising green keys with a weird font in order to pass the laptop as looking “professional”. There are a couple of cons when compared to the previous keyboard though. For starters, the key caps don’t feel as nice and the travel “seems” inferior. Unfortunately, I don’t have an older model for side by side testing, but I don’t remember having to get used to the previous keyboard in terms of usage. In fact, I remember it as being one of the best laptop keyboards I’ve ever used. 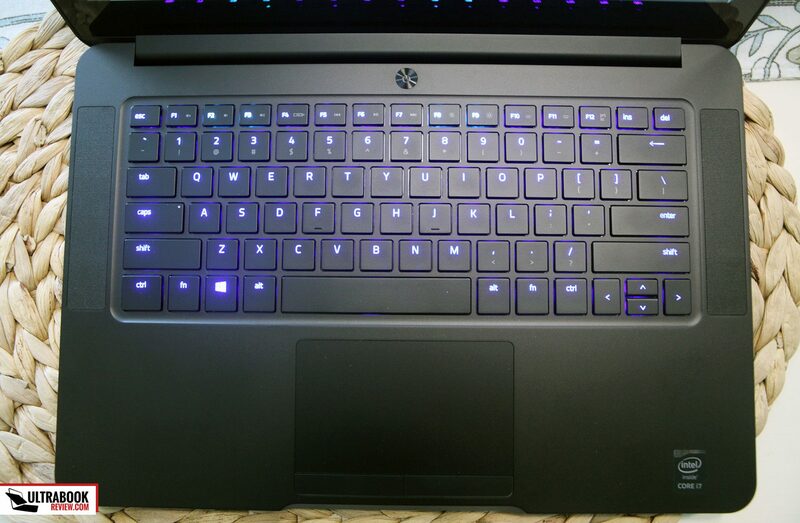 One of the other big issues I have with the keyboard is the same issue I had with the Razer Blade Stealth – there’s no backlighting for the secondary key functions. It’s not a huge deal that the % or $ symbols are not lit, because I’m pretty proficient and know where they are placed naturally, without having to look. But those who aren’t are really going to struggle typing in the dark. On top of that, the media keys are not backlit either, so finding the key to turn off the keyboard lighting ironically requires a flashlight until you memorize its location. As for the trackpad, it’s exactly the same as on the previous models. It works very well in my opinion, correctly registering all my touch gestures without fail. Tracking was accurate and it felt very smooth to the touch and comfortable to use. 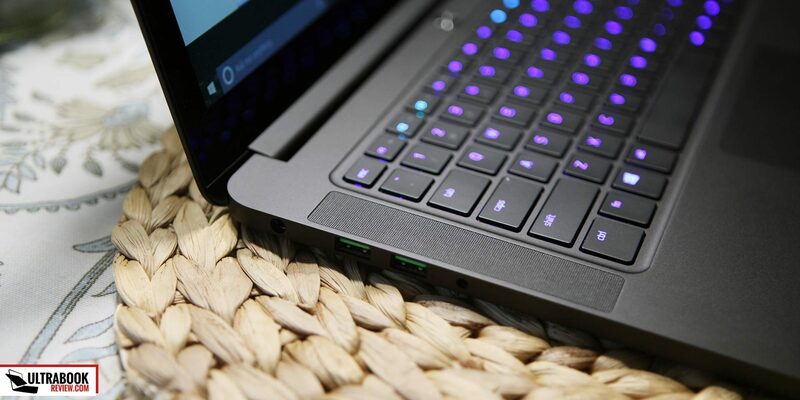 Unlike the Stealth, this Razer Blade doesn’t get a clickpad – instead it gets two physical buttons below the pad. The buttons are very small and have a pretty shallow click depth. They also make different noises, which I find kind of odd. 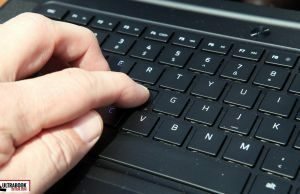 I’ve struggled to adjust to using them, as I just can’t find them or click the wrong button half the time, so I opt for using a double-finger tap for right clicks instead. 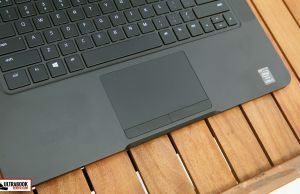 The trackpad is a Synaptics pad and has built in drivers with a number of options to choose from. I barely had to adjust anything to get it where I wanted. The only thing I miss from what I’m used to is the ability to navigate forward and backward in a browser with a three finger swipe. Instead, three finger swipes perform app switching similar to Alt-Tab. If you’re comfortable with regedit, it’s pretty simple to restore that functionality. Overall though, besides the backlighting issue on the keyboard and the mouse buttons, I’m very happy with the input devices on this Blade 2016 and they certainly appear to fit the price tag and the expectations. 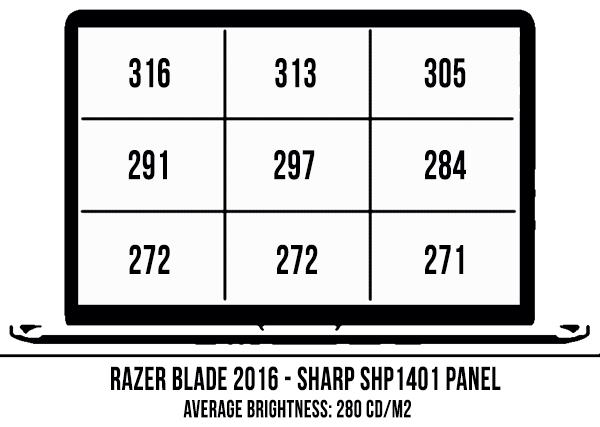 The Razer Blade 2016 gets the same panel as the previous two generations. It’s a Sharp IGZO IPS 14-inch touchscreen with a maximum resolution of 3200 x 1800 px, and it’s still a real pleasure to look at, even two years later. The panel used in this model is the Sharp LQ140Z1JW01, in case you want to look up the specs. Like other IGZO panels I’ve seen, there’s zero backlight bleed on the edges, which is great, but this panel falls a little short of today’s standards due to the viewing angles. At angles greater than 45 degrees, you really start to lose the colors of what you’re looking at. That aside, texts are still legible, but they’re nowhere near as crisp as the IGZO screens I’ve been seeing in other laptops tested this year. What might contribute to the issue is the fact that Razer opted to use a matte panel with a 42% haze behind the glass touchscreen. Really, with that glass being there, the matte coating isn’t preventing any reflections and it’s only making the image quality worse, not better. I’m not sure of their logic behind this or if it’s just a matter of availability, but I hope next year they choose to catch up and eliminate these minor weaknesses. I measured the color accuracy of the panel with a Spyder4Pro. The results were very good, with sRGB – 98%, NTSC – 69% and aRGB – 75% coverage. This falls directly in line with what to expect from normal gamut screens. 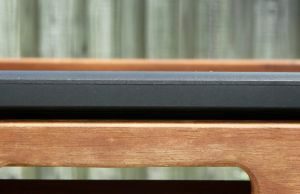 I’d love for Razer to offer a full gamut panel in the future, but 14-inch options are pretty limited, so it might be a while before that happens. The maximum brightness I measured was 278 nits, which is far short of the 400 nit spec on this panel model. What’s even stranger is that the upper right hand corner is the brightest area. As you can see from my table, the brightness distribution on my screen was a little erratic. It’s not very noticeable to the naked eye at least, but using this laptop outdoors in the daylight is going to be near impossible with a brightness as low as that. UPDATE 6/10/16: I reached out to Razer and they informed me that my panel should have a higher brightness and contrast ratio than I currently do. I’ll be getting a replacement in the coming weeks and will update this section accordingly if anything changes. 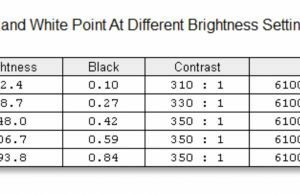 Per their product manager, I should be getting 300-320 nits and a contrast ratio of 1000:1. The maximum brightness on the panel was measured to be 316 nits, with an average brightness of 291 nits. This is pretty good for most usage needs but it will still struggle with sunlight glare, especially with that glass panel. As you can see from my line-outs above, I had a defective panel before, with an abnormally low screen brightness. This replacement unit is much improved. The screen is also a touchscreen and as I mentioned earlier, the hinge is plenty sturdy enough to not wobble when placing touches. Being a touchscreen, the edge to edge glass almost makes you ignore the size of the bezels. Still, I’d like to see either a larger screen with the same footprint or smaller bezels in the future. 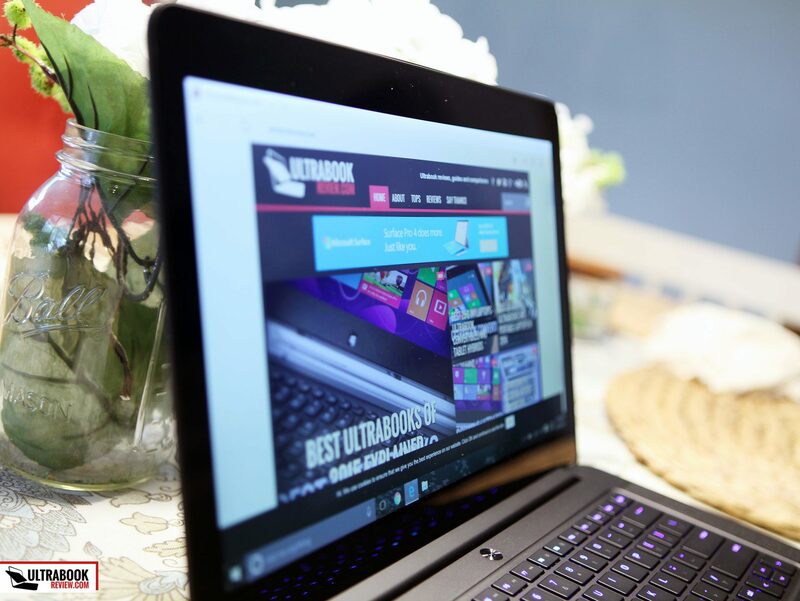 The Razer Blade comes with a Skylake quad-core Core i7-6700HQ processor and 16GB of DDR4 ram. Unfortunately, the RAM is soldered onto the motherboard, so there’s no way to upgrade it in the future. Also included is a dedicated Nvidia GTX 970M GPU, which is getting a little dated, being about 18 months old, but there really isn’t a better option for Razer to release at the moment. At least they opted for the 6GB VRAM model this time around. The only choice you get to make is whether you want a 256GB or 512GB M.2 PCI-e SSD. Both of which are Samsung PM951, so the speeds aren’t quite as fast as the much better Samsung 950 Pro. 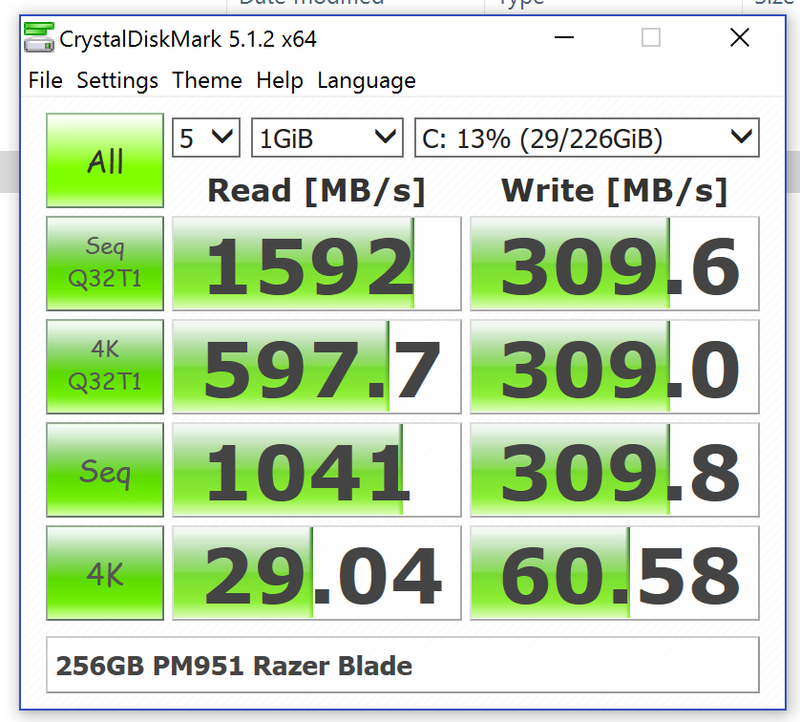 Still, it’s a solid drive and the 512GB model is likely faster than the model I have. I took some measurements using CrystalDisk, which can be seen in the pictures. 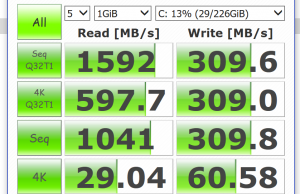 I was able to capture all my usual benchmarks. Overall they ended up as expected, considering this CPU/GPU combination has been tested in many laptops to date. 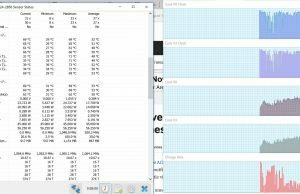 I didn’t experience any thermal throttling but I did hit some TDP limits according to HWinfo. Below are some of the benchmarks I ran. 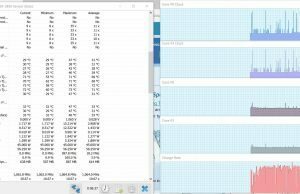 CineBench R15: OpenGL 91.74 fps, CPU 671 pts, CPU Single Core 131 pts. I also tried a couple of games. Default high settings at 1080p – 45-57fps. This is about what I expected for gaming performance. It falls in line with other laptops using the Nvidia GTX 970M chip. 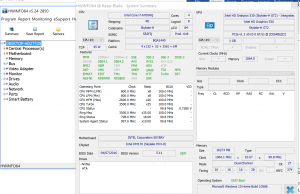 There really isn’t a whole lot of real gaming improvement from using the Skylake CPU over the previous Haswell models. On top of that, there’s a little TDP throttling at very high loads, but nothing that is directly noticeable in the game performance, from what I could tell. 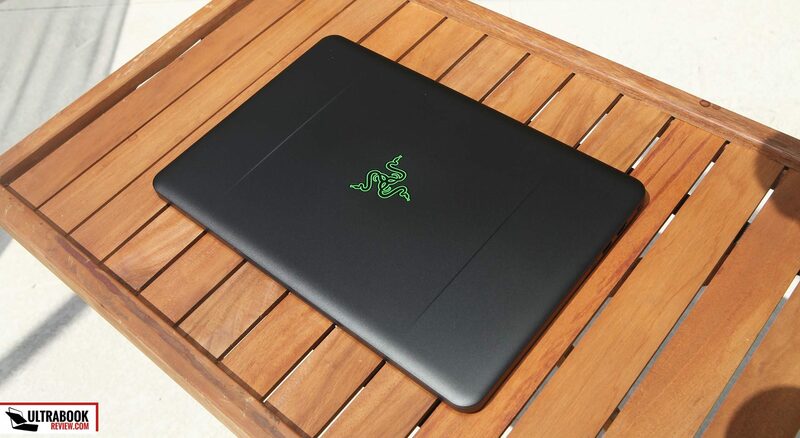 Like the Razer Blade Stealth, this laptop is compatible with the Razer Core. By connecting this laptop to the Razer Core you’ll greatly increase the gaming performance by utilizing an external GPU. The Core also acts as a USB hub to connect to all your peripherals. Check out this post for our detailed review of the Razer Core. Razer has stated that they improved the cooling system with this model. However, as with the previous versions, they went with a dual fan cooling system with dual heat pipes on both the GPU and CPU. 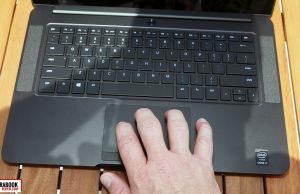 The configuration looks extremely similar to the 2014 and 2015 models, so I can’t exactly tell what’s changed in terms of the cooling solution, as Razer claims. I took some noise readings from my S7 Edge using the Android Sensor Box app. The ambient reading was 22dB. With the fan on during normal usage, I measured 25db at ear level and 30dB near the exhaust.That’s about what I would have expected, the fans are quiet, but you definitely know they are on – and they are always on. Under full gaming load, the fans start to get extremely loud, measuring 40dB at ear level and 50+dB at the exhaust. The pitch was pretty high, which made the noise more noticeable to others in the room. Compared to my old MSI GS60, I’d say this machine is louder. 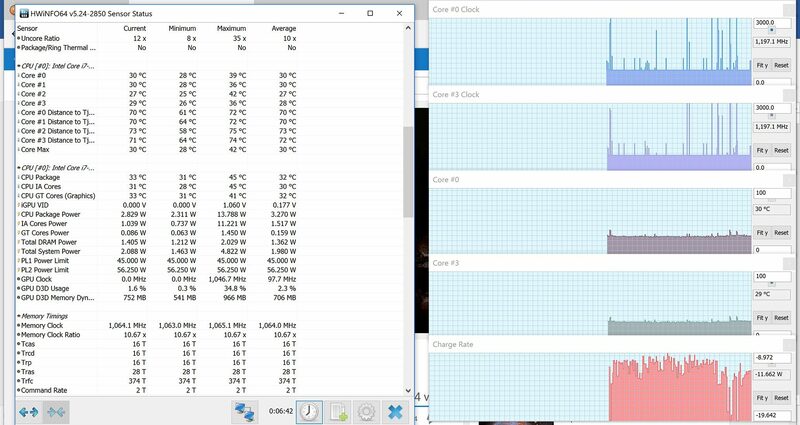 When it comes to thermals, under normal use, I would say the laptop runs pretty cool compared to other thin quad cores. 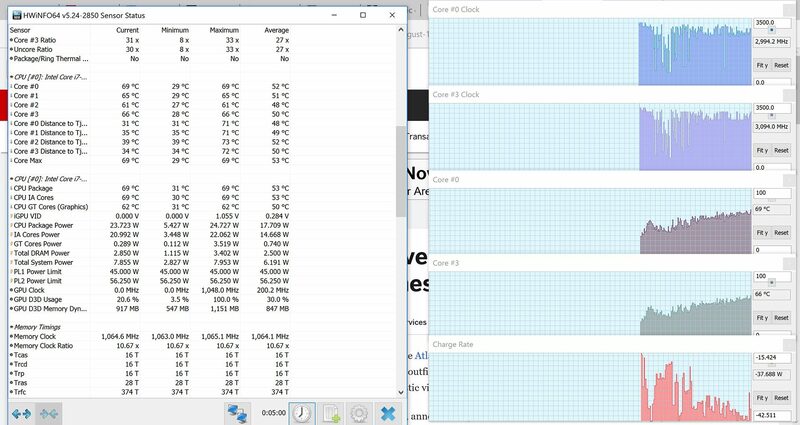 Idle CPU temperatures will hover around 28-32C depending on your room temperature. 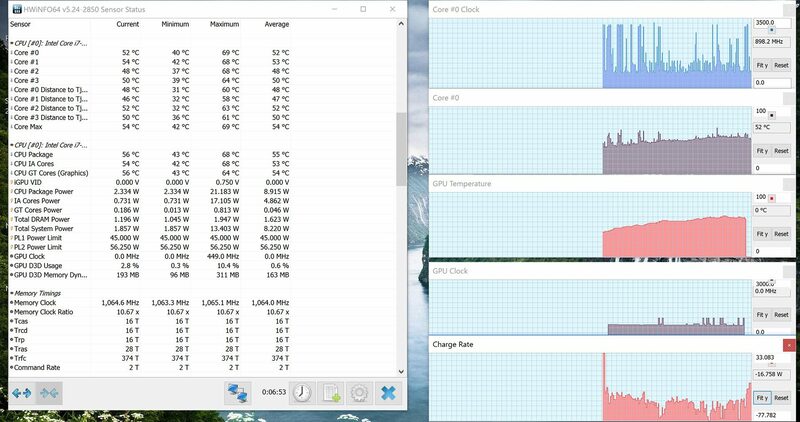 During normal use, the temps rise only a couple degrees and you’ll get the occasional 40s spike before the fan compensates. 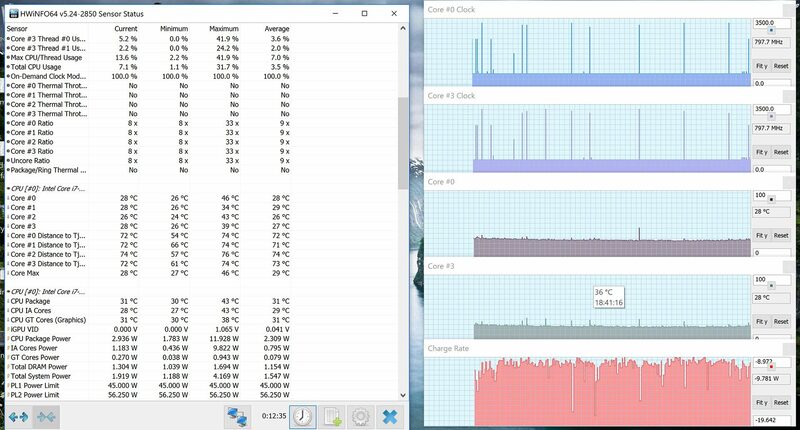 Under gaming loads, the laptop gets extremely hot though. It will definitely be difficult to do long sessions directly on your lap. 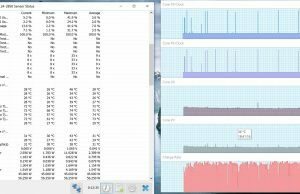 There is a “cool” mode in Razer Synapse, which helps a little. All it really does though is turn the fans all the way up earlier. 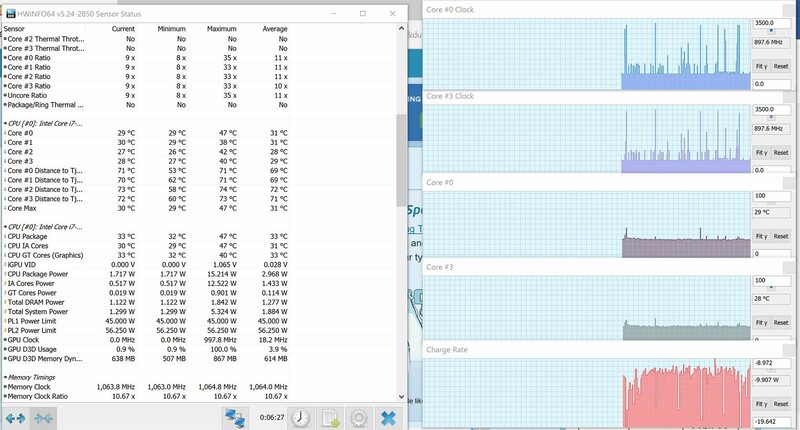 With high end games that really tax the GPU, you’ll end up with the same temperatures either way. The WiFi card on this laptop is excellent. Razer chose to use the Killer Wireless-AC 1535 for this one. I was able to max my Internet connection out (90Mbps) from the far corner of my house, which is 50 feet away and 3 walls between the laptop and the router. This was also the case with the Stealth, so they’ve certainly done their homework in this department. The speakers are located on both sides of the keyboard and face upwards. It’s a nice deviation from the typical laptop which has speakers facing into your lap, causing muffled sounds. Unfortunately, the speakers aren’t the highest quality in terms of putting out sound. Still, as far as gaming laptops go, they are pretty good. They are also loud enough to hear over the fan noise. I measured a peak level of 70db at ear level while playing a song on YouTube. For reference, the ambient noise levels in the room were 28 dB. I did notice a little sound distortion at high volumes, which is why I say they aren’t the highest quality. I still like them as a whole though, especially since they face upward. As a side note, I’m not sure why but there wasn’t any sound enhancement software preinstalled. Not that it actually helps a whole lot, but units like this usually have Dolby or some other way to change the EQ settings. This one only came with the generic Realtek drivers. After reinstalling the Audio drivers, Dolby Digital Plus ended up getting installed. Again, it doesn’t necessarily help with the sound quality but it does give you some options to clear up the highs when listening to music and movies. The only thing left to mention is the webcam. It’s the exact same webcam as the Stealth, being 2MPx and all around pretty decent. The low light correction is OK, but the pictures still look a little grainy. In well-lit environments the results are pretty good though, albeit only 2MPx. My battery test consists of using the stock “Power Saver” power profile, 40% brightness (80 nits), wifi off, Bluetooth off, and running a 720p movie in a continuous loop at full screen with the volume muted. I start the clock when it’s unplugged and stop it when the unit performs a self- shutdown. The Razer Blade lasted a stellar 7 hours and 45 minutes before shutting down. I usually do this before bed and I’ll admit, I was shocked to see it still on when I got up. In the following tests, we’ve set the screen’s brightness at 50%, which is about 120 nits. Also the keyboard backlighting was set to minimal. I’m pretty impressed with the battery readings I was able to measure with the Razer Blade. It’s clear that Razer has optimized the components for efficient battery life. I think what blows me away the most is it outlasted the Razer Blade Stealth in every category that didn’t involve heavy use. Of course the Stealth is both thinner and lighter, and thus has a much smaller battery. 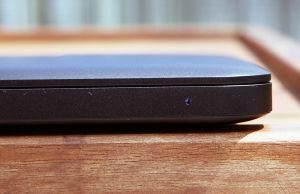 For being such a thin laptop with a full powered quad-core, you’re not going to find many better options in terms of battery life without sacrificing thickness, weight and/or horsepower. 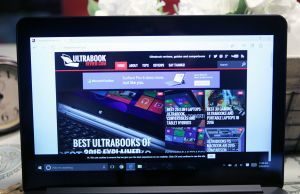 There are plenty of ultrabooks out there that have much better battery life but most will lack a dedicated GPU and they all won’t have a quad-core CPU. Also included is a 165 watt charger brick, which is most likely the smallest one available on the market, at that wattage. It measures 5.9”x2.4”x.9” and only weighs 1 lb 1 oz. It’s a great charger to keep in the backpack, but be prepared to fork over $130 if you want to buy a new one. So don’t lose it! The Razer Blade is currently available on Amazon and Razer’s website. Follow the links for up-to-date prices and configurations at the time you’re reading this post. As of late May 2016, the 256GB version goes for $2000 and the 512GB version will set you back $200 more. Might seem steep but, it’s actually a really nice price break considering the 256GB 2015 model went for about $2400 at launch, last year. I wouldn’t hold my breath for any sales anytime soon though. These things usually only go on sale a month or so before the next model releases. As of Sep 2nd, Razer has already updated their Razer Blade to include the GTX 1060. There’s also a FHD option which lowers the starting price to $1799. This is a great move that puts them at an even better competitive price point. It also might mean the 970m models will go on a discount soon, so keep an eye out for that. Also keep an eye out for an updated review. I should have a unit sometime in October. I’m very impressed with this year’s version of the Razer Blade. Although there are a couple areas that need a little more work, I think they’ve improved in a couple key areas that have piqued my interest. Particularly the price, the Core compatibility and to some extent, the keyboard (sorta). I still think the 2014/2015 model’s keyboard was slightly easier to type on, but the green keys and ugly font really needed to go. They still need to fix the secondary keys not being backlit though. If it weren’t for that I would totally forgive everything else, but I really think that omission could be a dealbreaker for some. Besides these, I’d love to have a screen with better viewing angles and brightness, but in all honesty, this one works fine for me. It’s not very often I look at my screen from extreme angles, and if I do, I can always adjust the screen tilt. Overall, this is a very powerful laptop, considering the small size. They really did a nice job taking up as much space in such a small footprint AND keeping the weight low. Oh yeah, and let’s not forget still having decent battery life! Like I said before, $2000 might seem a little steep for a laptop with these specifications. But if you consider how portable it is and the all metal unibody, the price can surely be justified. The only comparable notebook at this size is maybe the Gigabyte P34G and the difference in quality is pretty drastic, if you ask me. One thing to consider carefully is Nvidia’s Pascal chip that are right around the corner. For some reason, Razer chose not to wait for Pascal and stuck with the GTX 970M GPU. For all we know, the 1070M could be released at Computex and we’ll start seeing laptops with those GPUs in the next couple months. I can say with almost certainty that Razer will not refresh the Razer Blade with the 1070M anytime soon though, considering they have historically only changed their specs on an annual basis. I don’t know why they didn’t wait – possibly it was rushed because of the Core? It’s also probably why the Razer Blade Pro (their 17-inch model) hasn’t been refreshed yet and that model will come with Pascal. Either way, this is something to certainly consider. But if you narrowed your search down to the thinnest and lightest gaming laptop with a powerful GPU, odds are you’re looking at the Razer Blade, even without a 1070m. That about wraps up my review. I’d be happy to answer any questions about the Razer Blade. I plan on having it around for a while, so if there’s anything else you want me to test, please leave me a comment in the section below. Great review Derek! 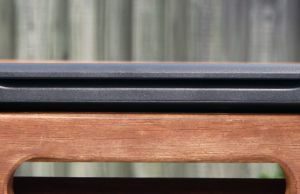 Would you be able to post photos with a size/thickness comparison between the XPS 15 and the Blade? I’m currently trying to decide between the two and some comparison photos would help a lot! Also you impressions of the weight difference between the two would be helpful too… Thanks! Believe it or not, the dimensions are almost identical in every way. I’ve been handling them both regularly for the past week because of my Razer Core testing. I have no preference between the two as far as carrying them around. As far as comfort goes, I like the palm rest of the XPS 15 a little better since it’s a little softer and not as cold to the touch when first using it for the day. It also doesn’t get near as grimy. 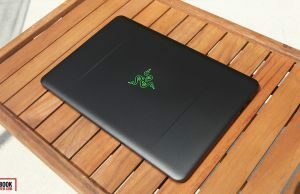 But as far as usage goes, I prefer the Razer Blade because the lid is much much easier to open on a regular basis. I can’s imaging having to choose between the two. There are so many pros and cons and they are both great machines. If you mixed the highlights of both, you literally would have the perfect laptop. I’ll try and get some pictures up soon. I’ve been super busy but I should be able to get them by the weekend. Really comprehensive review! Better then some of the more mainstream review sites out there as well. And appreciated both knocking them for not waiting on Pascal here, and guessing the Pro is waiting on it. 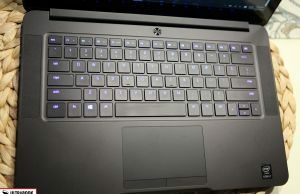 Also, the attention to secondary keys not getting backlight is the best thing I have read on the laptop. Will be coming to look at your reviews on any PC I am considering. Thank you for the amazing review Derek! Is there any difference between gtx970M 3gb versus gtx970M 6gb , in terms of gaming performance and does it offer 2x time better frame-rates than 3gb model? I can’t really find answers online , hope to find them here! It’s not 2x faster. What happens is if you run out of VRAM, it uses system RAM for graphical applications, which is much slower. In cases like that, your framerates will drop severely. But to get a gae to use more than 3GB of VRAM, you pretty much have to be maxing out aliasing and be running at resolutions higher than 1080p. Considering the 970M can’t handle gaming at resolutions at higher than 1080p very well, this is almost a non-issue. There are some older games that can be modified and will use more than 3GB of VRAM but that is still unlikely for most people, in my experience. In short though, 6GB is better to hae than 3GB. But you won’t be seeing any significant performance boosts in comparison to last year’s model. So it’s just a marketing gimmick. Why would one need the extra VRAM if the video card is not capable of using it? do you have the exact model number of the synaptic trackpad ? Let me know how if you get MacOSX fully working. I was just wondering how you made this a Hackintosh, because that is the ONLY thing currently stopping me from buying this instead of a MBP 15" because I don't need gaming exclusively because I have a custom made gaming PC at home, I would need this for photoshop and video editing and presentation making which I've preferred on Mac and my day to day use just feels more smooth and simple on my Mac. But if it was possible then I would greatly appreciate any help because I've only ever made one Hackintosh and it was a disaster hahahaha. Yes, the 950 pro definitely works in this machine, although it’s a really big grey area as to how it affects the warranty. If you read their policy, it shouldn’t void it provided you don’t damage anything doing the install. I actually swapped in the 512GB 950 Pro myself and it’s been a joy to use! If you have problems with your Razer Pro, as me that my battery get damaged, you simply can’t buy the battery. You need to send the Razer Pro to his headquarters and wait they return again it. If you get a simply cable damaged the same. Don’t buy Razer products because if you have some problem you can’t buy the replacement part. I bought a blade based on this review. Fantastic. I have one question though: You mentioned that you can change the regedit to enable the 3 finger gesture for forward/backward, but I haven’t been able to do that despite searching it on the internet for days. Would you be able to share more information or a link to the tutorial about this? I forget if you have to reboot or not after the change. Don’t forget that script at the end too. Sometimes machines stop responding after a while but I never had that problem with the Blade. Just in case, you can create a shortcut to run that line when needed. Most definitely. I'd go for the 1060 version though, not the 970m in this review. The major difference you'll see is the keyboard. It's a little inferior to what you have in my opinion, but the benifits far outweigh the cons of your model. If you pull the trigger, I'd recommend the 1080p version over the QHD+. I'm still waiting on Razer to send me a review unit. I was originally told it'll be in October but have now been told that it might be as late as next month. Hopefully it won't be delayed any further. 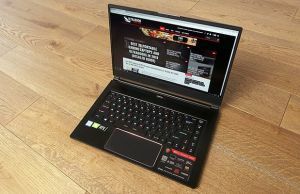 Tell them that lack of reviews and gossip about high temps on the internet made me into proud owner of MSI GS63VR. Stupid muppets. I guess if they cannot even handle marketing, they cannot be expected to handle customer service well. Why would you recommend the 1080p over the QHD+? I want to buy this laptop for photo and video editing, wouldn't it be better for me to go for the QHD+? I know this sounds like a support question (and it is) but I'm just asking around to see how people got such good battery life. 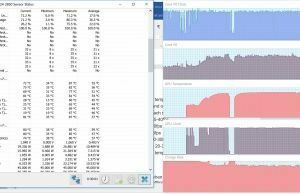 Any recommendations for checking what hardware and software is hogging battery life with specific numbers? Anyways keep doing what you're doing, it's extremely helpful! Thanks! What test are you comparing it to when you get 20W? One thing that is different between models is the screen. I know it's FHD but it's still different and could very well consume more power than the QHD+ panel. 50% brightness could be higher on the FHD version than 50% on the FHD. I also wonder if the GPU is switching. Is it possible the 1060 could be stuck on in your testing? That would make a huge difference. I'm comparing it to the light browsing and YouTube tests in which you get 6 hours (I watched videos mostly 720p – 1080p). I have verified that the 1060 card is not running via the Nvidia control panel option to show when it is being used. For display brightness its at the minimum and every else is on power saver (so I am using more extreme power settings than you and getting worse battery life). In a poll on battery life, I found that most people had around my battery life 3+- 1 hours (http://www.strawpoll.me/11764256/r) even with power saving measures. Sure it's not verified but it's insightful at least. If you still have the laptop or recall your tests, what specific applications did you run (and websites etc). Maybe some standardization will help isolate? Unfortunately I don't have that laptop anymore to test. 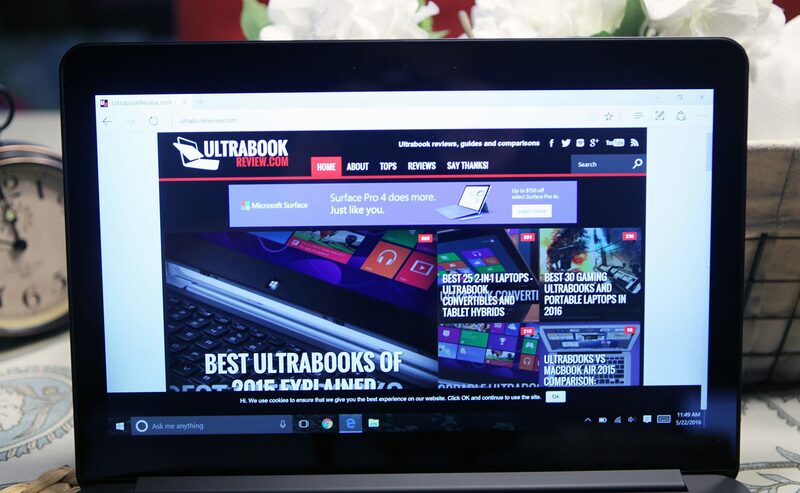 During that test, I am usually reading articles on Microsoft Edge while also having Word open typing the review. These articles are static and there are usually aren't many animations and no video. For multiple tabs and videos running on pages, that fulls under my heavy browsing test. 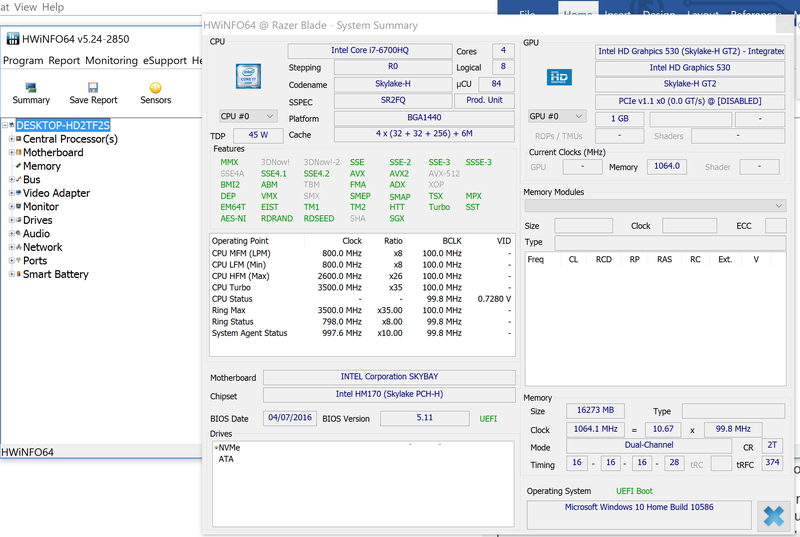 The test goes on for about 15 minutes and I use the average power consumption based on what HWinfo reports. HWinfo does a high low and avg, so it's important to reset the test right as you start and then get the result immediately after the test is done. If you do other stuff it skews the results. You also want to make sure other software isn't downloading in the background, such as Windows updates, because that also changes things. 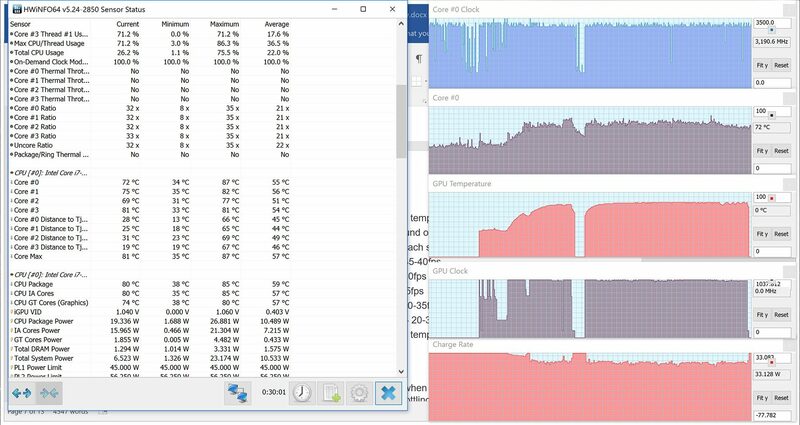 A good indicator of this would be to monitor your CPU usage during the test and see if it compares to mine. In the end though, these are only estimates. I only go through all those details to keep my measurements consistent, for comparison purposes. Real life results will definitely vary though, because very few people will actually sit and do only light browsing for 6 hours straight. 3 hours average usage is pretty typical from what I have observed in the forums. Maybe closer to 4. I'm still wondering if there's a hardware reason for the power draw. A curious point for me is the differences in drain between minimum and full brightness. I will do a more comprehensive test within the day. But so far in my experience changing brightness and keyboard backlight only changes discharge rate from about 23W to 22W (or is that significant?). Yeah, that's pretty typical. That leads me to believe the power draw is coming from somewhere else. It must be the CPU then. Assuming you are using Throttlestop, have you tried all this with stock voltages? Sometimes by tweaking things, speed step gets messed up and either stops working or works incorrectly. The package power is what you would want to monitor. 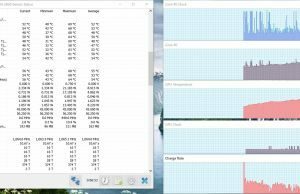 If it's anything above 8W, then something else is loading your CPU or your throttlestop settings are wrong. Okay with the tweaked settings I got 5 1/2 hours on airplane mode minimum brightness not keyboard lighting and the other tweaked settings. Interestingly enough BatteryBar Pro was feeding me incorrect data the whole time (said drain was anywhere from 17W to 22W) when it was actually 75Wh/5.5h = 14W. I've got possible answers from Razer support so I will look into that tomorrow. Interesting update – recalibrating the battery by removing battery drivers and recharging results in similar performance as you. I'm glad to be able to fully appreciate this machine now! insightful review. debating between this and 15" macbook pro with touch bar. have any thoughts? Can't comment on the MBP, sorry. I've never used Apple stuff other than the occasional task at work. It really depends on your intended use though. Usually people only choose Apple if they are content with using Apple software and use other Apple hardware in tandem. If you're thinking of just loading Windows on it to play games though, look elsewhere. The graphics card in the new MBP is pretty mediocre, considering the cost. But if you're just using it for consumption and productivity, I can see how the Macbook Pro would be an appealing choice. Sorry I can't be more of help. Hi Derek, thank you for the review. You helped me connect a GS40 to the Razer Core a few months ago on the RazerInsider forum. I have a quick couple question. Thought to ask your opinion on going forward with a purchase of the Razer Blade QHD with 1060. Should I wait until the 2017 update or buy now? And, in retrospect would you still go with the QHD or now choose the FHD? This will be my daily driver replacing the GS40. I am looking at the MBP late 2016 also. If they don't update the CPU to the kaby lake version soon, it'll probably be a long time before they refresh the lineup again. Now is probably a safe time to buy. I'd go with the FHD version for sure. It's definitely not worth the extra money for the QHD version unless you're desperate for touch. I appreciate it. The FHD is hard to come by these days. Guess the MS Store is getting ready to get some of my money. Alright… A quick follow up question. How does FHD compare to the MSI 1080p screens? The Best Buy and MS Store versions are pretty bad. I'm honestly not sure. There are so many different panels out there, some good and others not. 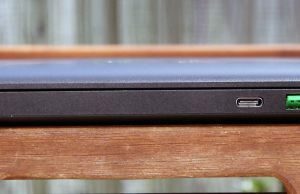 The general consensus on the Razer blade panel is it's pretty good. In fact, I can't recall anyone complaining about it. Talk about timing… They just launched their Kaby Lake lineup. Looks like they finally ditched the QHD+ screen and went 4k. Yeah…. I am eyeing it right now on the Razer Store. The announcement thread has gone sideways over the most recent model's fan noise at idle. I can't tell if it is hype or not. 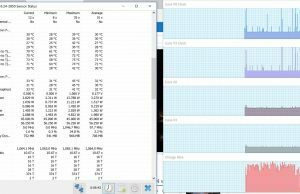 I never had a fan noise issue other than when at load which is expected. Are you going to be reviewing one in the near term? Probably not. Razer has told me on numerous occasions that they were going to send me review units, but that has yet to happen. I'd have to buy one in order to review it. Yes, you should be able to play all day.